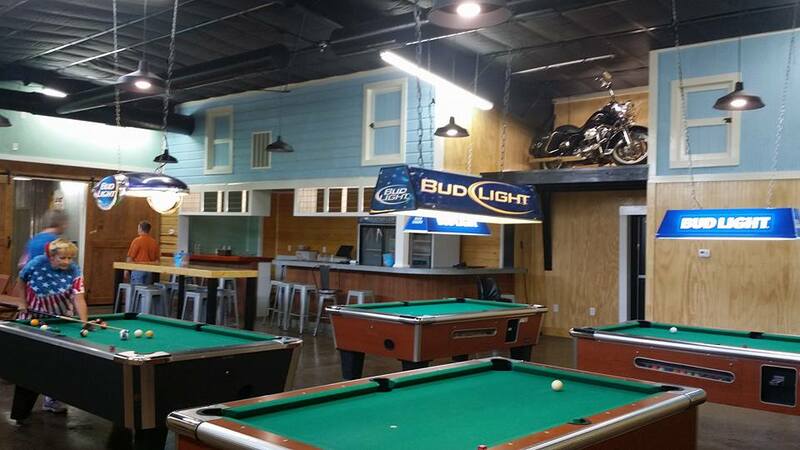 Located in beautiful New Ellenton South Carolina, Joe's Bar & Grill offers a fun dining experience with live entertainment, wide open spaces and delicious signature dishes. 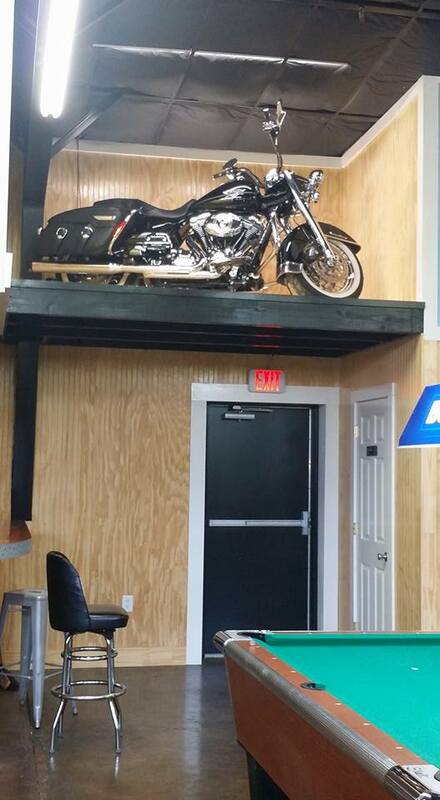 Joe's Bar and Grill opened in April 2016 and is located at 902 Main Street in New Ellenton South Carolina. Award winning Chef Kerry Armbruster has been serving both quality interpretations of classic dishes and daring new ventures into the uncharted territories of food for over 30 years. Joe's Bar and Grill is all about comfort. 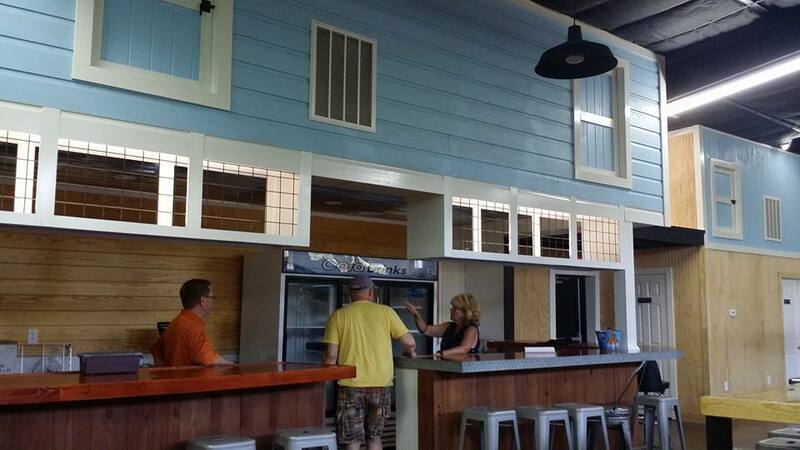 Our open floor plan allows indoor and outdoor seating for parties of any size. And with ten televisions and two full bars, you won't have to miss a play to get one of our signature drink specials! Please visit our Events link for upcoming special celebrations and bands. And check us out on Facebook! Garden-ripe sliced Tomatoes and fresh Mozzarella Cheese layered with extra-virgin olive oil and balsamic reduction. Served with Herbed Crostini bread. Ten of our Famous Jumbo Wings. Tossed in your selection of either BBQ, Sweet Teriyaki, Lemon Pepper, Garlic Parmesan, Hot, Mild, Sweet & Sour, or Sweet Caribbean Jerk Sauce. Served with Celery and Big Sky Ranch Dip. Topped with Peppers, Onions, Mushrooms and Gravy. Served with Fries. Hand-pulled Chicken or seasoned Ground Beef, Cheddar Cheese and Green Chilies. Salsa and Sour Cream. Foot-Long All Beef 1/4 lb. Hot Dog topped with your choice of two toppings: Onions, Relish, Slaw, Chili, Jalapenos or Kraut. Served with Chips. Butcher Quality, Pork and Beef. Choice of two toppings: Onions, Relish, Slaw, Chili, Jalapenos or Kraut. Served with Chips. Choice of two toppings: Onions, Relish, Slaw, Chili, Jalapenos or Kraut. Served with Chips. Hand Cut Breast Meat, Lightly Dusted and Big on Flavor, offered with Joe’s Homemade Honey Mustard or Ranch Dip. Served with Fries. Golden Fried Lightly in Corn Meal. Served with Coleslaw, Tartar Sauce and Fries. A generous portion of our large shrimp lightly battered and fried golden. Served with Coleslaw and Fries. Filets lightly battered and fried golden. Served with Coleslaw and Fries. Served with Coleslaw and Fries, with a side of Joe's own signature home-made Honey Mustard sauce. Onion Rings, Mushrooms, Mozzarella Sticks, Chicken Tenders and choice of two sauces: BBQ, Sweet Teriyaki, Lemon Pepper, Garlic Parmesan, Hot, Mild, Sweet & Sour, or Sweet Caribbean Jerk Sauce. Griddled Bread surrounding Hot Ham, Turkey, Bacon and drizzled with BBQ Sauce. Served with Chips. Twin sandwiches with a generous portion of seasoned beef in our own special sauce and drizzled with Worcestershire sauce. Served with Chips. Two of our famous chicken tenders on a brioche bun with lettuce, tomato and honey mustard. Served with Chips. Bakery toasted bread, hickory-smoked bacon, lettuce, sliced green tomatoes dusted in cornmeal and lightly fried, dressed with house-made pimiento cheese. Served with Chips. Big on bacon, lettuce, and garden-ripe tomato on your choice of bread. Served with Chips. Ham, Turkey, Salami, Swiss, Onion, Lettuce, Tomato and Italian Dressing. Served with Chips. Turkey, Pecans, Cranberry Mayonnaise, Lettuce and Tomato. Served with Chips. Layered Turkey, Bacon, American Cheese, Lettuce and Tomato on White or Wheat Toasted Bread. Served with Chips. Griddled Bread with your choice of Cheese. Served with Chips. Choice of breads including white, wheat or rye. Cheese, Lettuce, Tomato and Mayonnaise. Served with Chips. Layered with Lettuce, Tomato, Onion and Joe’s Burger Sauce. Served with Chips and a Pickle. American Cheese, Lettuce, Tomato, Onion and Joe's Burger Sauce. Served with Chips and a Pickle. Lettuce, Tomato, Onion, Cheese, Bacon, and Joe’s Burger Sauce. Served with Chips and a Pickle. Thick Swiss Cheese, Joe’s Burger Sauce and Mushrooms. Served with Chips and a Pickle. Choices include: Ranch, Blue Cheese, Honey Mustard, Thousand Island, Italian, French, Balsamic, and Raspberry Vinaigrette, unless otherwise specified. Sliced Ham, Turkey, Egg and Swiss Cheese, layered over crisp Lettuce and topped with shaved Onion, Tomatoes, Cucumbers and Croutons. Choice of dressing. Crisp Lettuce Cheddar Cheese, Grilled Chicken, Sunflower Kernels, Crumbled Bacon and Fresh Apples served with Apple Vinaigrette Dressing. Sweet Jerk Spiced Grilled Chicken over a Crisp Salad with Tomato, Bell Pepper, and Raisins, drizzled with Honey Mustard Dressing. Blackened, Grilled or Fried Tender Shrimp Over a Crisp Salad and Choice of Dressing. Crisp Lettuce, Tomatoes, Feta Cheese, Olives, shaved onion and Banana Peppers. Greek Dressing on the side. Seasoned Beef over crisp Lettuce, Tomatoes, Cheese, Onions and Salsa, served on a bed of Tortilla Chips. Seasoned grilled Chicken over crisp Lettuce, Tomatoes, Cheese, Onions and Salsa, served on a bed of Tortilla Chips. Wedge of crisp iceberg Lettuce covered with Blue Cheese Dressing diced hickory-smoked Bacon and diced Tomatoes. Served over Crisp Lettuce, Tomatoes, Cheddar Cheese, Cucumbers and Croutons. Choice of 2 toppings: Onions, Relish, Slaw, Chili, Kraut. or Jalapenos. Served with Chips. Two tenders and a kid's sized portion of fries. Choice of white or wheat bread. Served with Chips. Six shrimp and kids' sized portion of fries. Served with a kids' sized portion of fries. Fries covered with Melted Cheese, Ranch Dressing and Crumbled Bacon. Coke, Diet Coke, Sprite, Ginger Ale, Lemonade Coffee, Sweet and Unsweet Tea. Special selections of Chardonnay, Pinot Grigio, Moscato, Riesling, Sauvignon Blanc, White Zinfandel, Prosecco, Cabernet Sauvignon, Pinot Noir, Merlot, Red Zinfandel and Red Blends. N.Y. Strip served with potatoes and vegetable of the day with a dinner roll.